The Marketing Vulcano erupts. Move, move move ! A marketing vulcano? You probably ask yourself: “what on earth would that be”? Sounds threatening. On the otherhand, we also know that vulcano’s leave fertile lava soil behind. The eruption thus creates a new future. The growth of vulcano’s is something that facinates me. I can’t get my head around the earth being filled with magma and big tectonic plates shifting slowly, a couple of centimetres per year. When they move from each other, they leave a hole where the magma slowly erupts. When they move towards each other pressure builds up, leading to an explosion of magma. These are the vulcano’s we know and fear. Let me tell you why I called this blog post the Marketing Vulcano. I use the parallel of a vulcano to express my vision that there are three trends in marketing that are colliding. Everyone is doing the same thing. It’s probably also what occupies you daily: “how can I approach the mass of consumers to gain a little bit more awareness“. When everyone is doing the same thing, it becomes harder and harder to win. This one directional pressure will cause an explosive move into a new dimension. The winners will be the companies that move towards the new dimension, being “how can I turn my customers into ambassadors“. We will first discuss the three trends with you. You will have to take a step back. Stop worrying about the operational details. Focus on why you are doing what you do. We then highlight some elements of the new trend. We conclude with a vision of how ecommerce could look in the near future. While ecommerce started out with simple products, consumers have started using ecommerce for more and more complex products. Technical complex products like computers. Complex services like subscriptions, insurance and mortgage. Even personal complex products and services, like healthcare. Retail has lost much territory, but this trend will slow down. There is a reverse trend going on. We see companies that started as 100% ecommerce now open retail stores. There are brand stores like Philips in Amsterdam, focused on getting interactive customer feedback. We see consumers orient on internet and then buy in a retail shop and visa versa. We see stores that are truly multi channel, with a consistent presence in retail and ecommerce. Retail has some characteristics that are favored by customers. Being able to touch the product is very important in this. Personal interaction is a second mayor differentiator. In retail the shop assistant can work from the customer’s needs and build up value. That is key, because customers need a product, but they pay for the value they perceive. Reversely, when you fail to build value for your customer, you can only compete on price. In short, we are moving to a more mixed model of the purchasing process. In the early days of ecommerce you had good and bad websites. You could stand out by having a site that worked well and was intuitive. Nowadays the CMS standard systems are so good, even a small shop can be at high standards. Plus you can choose from hundreds of website builders. There certainly still are quality differences, but almost all of these website builders will build a decent website for you. Also in the area of Marketing much knowledge is standardized in plug-ins and services. Tracing customers, building up CMS databases, email marketing, customer service, and feedback. Customer reviews are also automated and available as service from content companies. All is available and it’s hard to find an ecommerce site that doesn’t have this organized. When there is little difference between different suppliers, economic law tells us you will end up in fierce price competition, and that is exactly what has happened. The rise of price comparison sites only aggravated this trend. Investments in ecommerce are still big, but the pig trade cycle predicts that at a certain moment in time there will just be too much capacity built up and the shake out will start. On the cost side, Ecommerce is spending huge amounts of money on Search Engine Marketing, Social Media Marketing and other forms of internet marketing. The lack of differentiation leads to hugh marketing budgets to win the customer. Google, Facebook and other media are exploiting their unique position in digital advertising. Based on the pressumption they can’t be omitted, the prices for their services are rising continuously. Conclusion: strategies based on technique only are bound to loose importance. As technical innovations are slowing down, it is the effective usage that will create a winning strategy. The rising cost of the digital advertisement platforms will cause companies to look for a different approach. Consumers adopted social media much earlier than companies. Due to the fact that consumers were on social media, companies had to be present as well. First mainly to prevent damage, as customer service. Nowadays most also publish campaign material, more or less like they would do on television. The best companies also ask for feedback. One customer can break the reputation of a company. Customers are used to being in contact with large groups of digital relations. The concept of “near relationship” has completely changed. The world has become a village. People get an overload of information. All sources compete on an equal level for attention. It has become very hard to make a message stand out. As a reaction to the power of the big companies in the mass media era, the current generation puts more trust in messages by peers on internet. Research shows that word of mouth is currently a hundred times more influential than an expensive marketing campaign. This creates a challenge for marketing. Conclusion: companies will have to find a way to fulfil the expectations of customers in this social media era. The three trends have build up pressure in one particular direction: making the large mass of people aware of your company in order to sell to a small percentage of them. This concept originated in the mass media era. Mass media made it possible for companies to reach large groups of people with their advertisement. Ecommerce increased the focus on the mass of consumers. Websites are cheap to operate compared to retail and allow for presentation to groups much larger than any shop can fit. The commercial strategy of Ecommerce focusses on SEO optimization and Google adwords to maximize page views.. The rise of social media as commercial platform in the last couple of years has aggrevated this concept to hugh dimensions. An advertisement that goes viral can reach millions of potential customers in a day. Much more than search optimization can ever deliver. It has been proven that in any large group of people 3 percent of the people are ready to buy, regardless the product under investigation. Based on this knowledge, the strategy to be visible to a large community makes sense. But the strategy is too simple, is becoming less effective and more expensive. Research (see for instance SeeWhy) shows that Social Media Marketing has only limited impact on conversion. In their research social media accounted for 30% of the visitors. Unfortunately this resulted in only 2% of the sales. What sells is relation, trust and service. 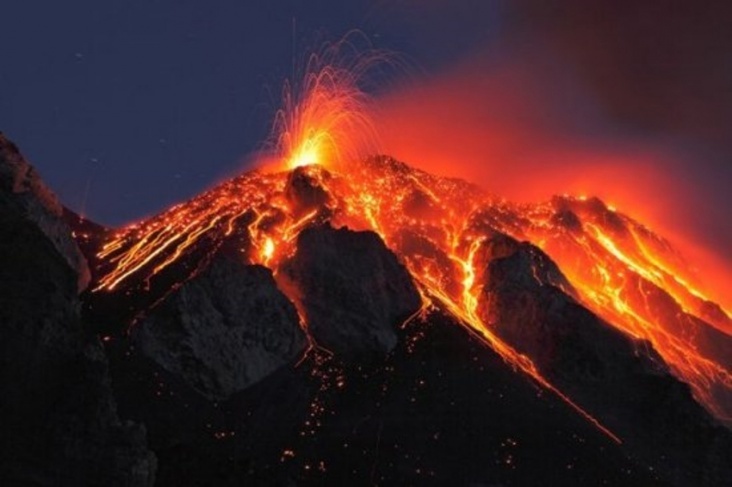 The lava of marketing vulcano is focus on the individual customer. We see several movements towards this customer focus. Email marketingto build a relation with current customers. Personalization of site contentbased on behavior inside or outside the webshop. The rise of trusted brandsin Ecommerce, like Amazon. Trusted brands can ask higher prices, regardless their bad listing on comparison sites. Brand web storesare often times preferred above webshops that sell the same product at a lower price. The popularity of consultants, like Mark Schaefer, Jay Baer, Nisandeh Neta, who teach companies to build marketing upon a trusted relationship with satisfied existing customers. Email marketing and personalization sound like a personal approach, but these concepts make only a first step. They give a twist to the “reaching the mass” concept in the right direction. The mailing list is intended to be as big as possible. Customers are classified in a number of groups. Each group gets a specific message. The great thing about them is that they base an offer on previous purchases of this customer. Personalization basically does the same thing, but it does it real-time while the customer is browsing the site. Why is this just the first step? What’s lacking is that the customer does not perceive this as a personal approach. It is a smart automated approach. Today’s customer however expects a personal connection with the vendor and transparent direct communication. Please check my blog about this: 5 elements of Customer Expectation . Email marketing and personalization of websites don’t fulfill these elements. For the customer to feel connected to your shop or brand, you will need to do more. Our vision is that the Multi-channel concept will start to mean more than just selling and advertising via multiple channels. The methods of retail and ecommerce will mix into one new approach, picking the best of both worlds. The individual customer approach of retail and the digital information of ecommerce will be blended into a new type of interactive ecommerce. Ecommerce will become as entertaining and personal as retail. Social media is now used to reach millions of people at an inconvenient moment. The future of social media is to interact digitally with a limited number of people at the moment you are relevant to your customer. We will start interacting with customers as a community in the web shop. Consumers are tired of being overloaded with irrelevant information. Being relevant becomes the most important differentiator. We will move from high reach with low impact to low reach with high impact. We will have to learn to use social media that way. Topics that companies will have to handle are delegation of control and interactive public feedback. These skills are common in retail, so companies with a strong background in retail will have an advantage. Additionally social media platforms will develop functionality to improve this interactive shopping. Facebook and Twitter are not fit for interactive shopping. Their strength is reaching the mass public. The new social media will need to be part of the customer’s action. That requires that it is really interactive and that relevance to the consumer’s current action is guaranteed. In our previous post we already concluded that the winning companies will be the ones that manage to scale up personal interaction with their customers. Success will be built upon relationship and trust. Technology will only temporarily be a differentiator. Advertisement will not disappear, but it will no longer be sufficient. What will make the difference is the people behind the brand, their strategy and their capability to listen to customers and turn customer feedback into a relevant offering. PS: This song Dancing on the Vulcano used to one of my favorite songs. Next postHow to create engagement with social media? 5 Things you need to know.